Jeff Greenwald has a passion for radio and how it can be used as an effective tool in marketing a business. Jeff is the General Sales Manager for Hubbard Radio - West Palm Beach, who owns 97.9 WRMF, WEAT (Sunny 107.9), 103.1 WIRK and WMBX (X-102.3), 850 WFTL and 640 WMEN- Jeff has been in Palm Beach County since 1994. Jeff’s background in radio and marketing started while he was a communications management major at Ithaca College in Ithaca New York. 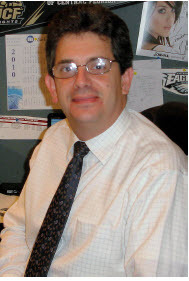 Jeff’s work experience includes local radio sales in Philadelphia (for CBS radio), national radio sales in New York City (Christal Radio), partner in a local advertising agency in Philadelphia and for the last 20 plus years local radio in South Florida. Hubbard Radio is one of the premiere radio groups in the Country. They took ownership of the stations on Januart 23, 2019. The Palm Beach group operates 97.9 WRMF, WEAT (Sunny 107.9), WIRK (103.1) and WMBX (X-102.3), WFTL (News/Talk) and WMEN (640 Sports). WRMF is the top ranked radio station in Palm Beach county for reaching Adults and Women. WRMF’s signal strength covers from Vero Beach down to the beginning of the Keys. Jeff is a General Sales Manager for all of the properties Sales Departments and works with businesses of all size to develop a marketing campaign that reaches targeted consumers and drives their business message. Palm Beach Broadcasting over the past few years has added to their marketing arsenal an events department as well as a digital marketing division. These events include: Our Kids World Family Fun Fest, Paws In The Park, Rib Round Up, Palm Beach Summer BeerFest, Bridal Elegance and many others. These events attract over 100,000 consumers each year. Hubbard Radio digital opportunities include traditional banner advertising as well as web optimization, streaming, video platforms and more.